COPD: chronic obstructive pulmonary disease; FEV1: forced expiratory volume in 1 s; FVC: forced vital capacity; HADS: Hospital Anxiety and Depression Scale; CBT: cognitive behavioural therapy. Data are presented as n (%), unless otherwise stated. 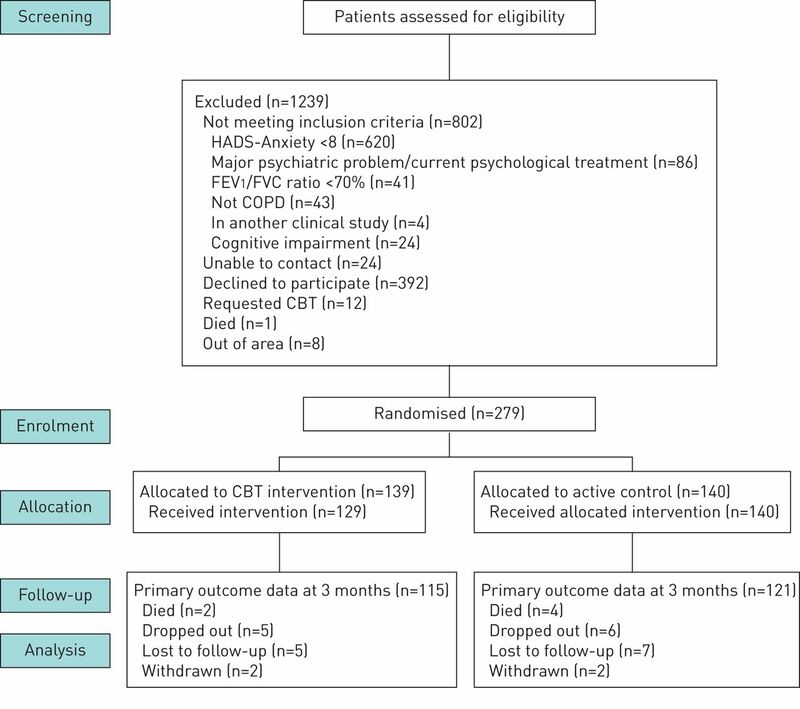 CBT: cognitive behavioural therapy; HADS: Hospital Anxiety and Depression Scale; GOLD: Global Initiative for Chronic Obstructive Lung Disease; MRC: Medical Research Council; BMI: body mass index. CBT: cognitive behavioural therapy; HADS: Hospital Anxiety and Depression Scale. #: the mean difference is higher than the HADS-Anxiety Score minimal clinically important difference of 1.50 . 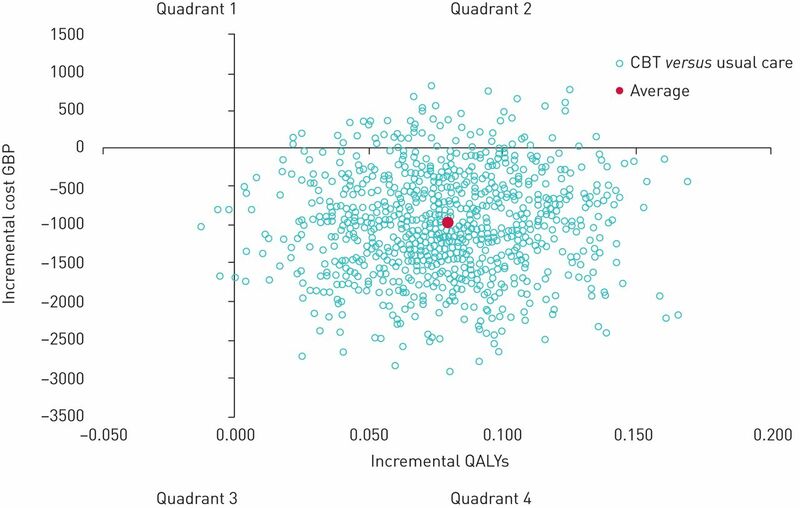 ED: emergency department; QALYs: quality-adjusted life-years.